Issaquah Little League 11U all-star team finishes the 2018 season undefeated. Working out with the Bellevue Christian Vikings football team was a formidable test. Eastside squad finishes one game shy of reaching the Junior Softball World Series in Kirkland. 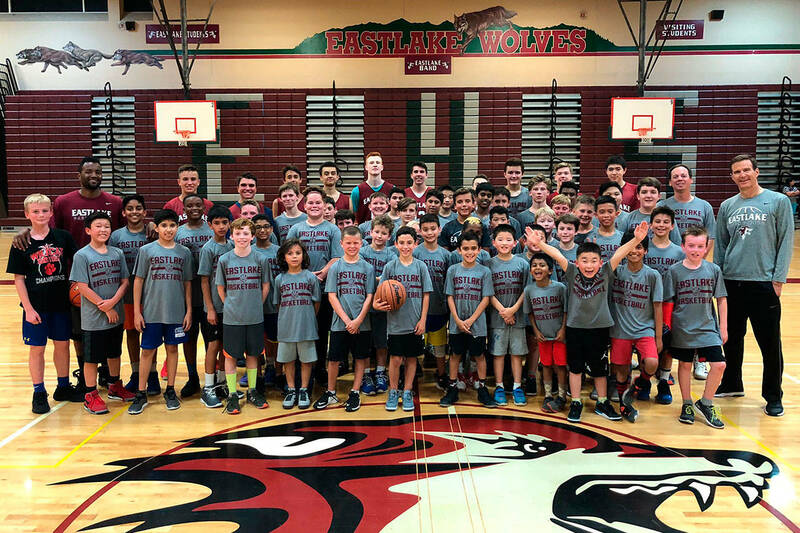 Current Wolves players lead the way at annual camp. Avid volunteer earns an achievement of a lifetime. Sammamish Little League squad finishes the summer with an undefeated record. Sound Publishing sportswriter Shaun Scott discusses his affinity for hot yoga. Current players mentor future Wolves on the hardwood. Eastlake shortstop will play collegiate softball at the Division-1 level. Eastlake Wolves girls basketball star Keeli Burton travels overseas. Skyline wrestler is prepared for his sophomore season on the mat. Starting quarterback spot still hasn’t been decided at this juncture. Skyline senior quarterback is looking forward to the 2018 season. Skyline football team has a bevy of returners in 2018. Eastlake looking to clinch a spot in the playoffs in 2018. Eastside Catholic dominates Edmonds-Woodway in third-/fourth-place game. Skyline senior will run at Seattle Pacific University. Freshmen Charlie Suh and Lucas Pastor attain a monumental achievement. Skyline finishes the 2018 season with an overall record of 16-2-3. Eastside Catholic registers clutch victories against Arlington, Bonney Lake to reach semifinals.